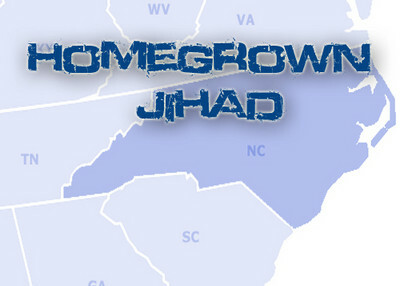 Make no mistake, if found guilty, this is nothing short of AMERICAN JIHAD, or put another way, Jihad AGAINST America. It is happening everyday in this nation, in the mosques across this nation and within the terrorist training camps, of which at least 35 have been found inside of the United States. Don't forget Congress and Homeland Security have stated that there are "hundreds" of Hizbollah agents (sleeper cells) within our borders, and Hamas is known to be at the Mexico/America border. They will be unleashed. They are not here to play. Pray, stay vigilant-W.E. Drug deals. Weapons purchases. Ties to a prison gang and a militant Islamic group and even a potential link to an unsolved homicide. That was the list of allegations federal officials laid out against an Austin nightclub owner and nine of his associates in a dramatic hearing Tuesday. Arrested last week on money laundering and drug charges, Yassine Enterprises owner Hussein Ali "Mike" Yassine, his brother, Mohammed Ali "Steve" Yassine, and eight others appeared in federal court and heard more details about the cases against them. Mike Yassine, who owns eight Austin nightclubs, and the other suspects in the case face a variety of charges. Some are accused of cocaine distribution, purchases of guns to be used during drug deals and money laundering dating back to 2007. Officials linked one suspect to the Texas Syndicate prison gang. They also said thousands of dollars were transferred to a Yassine relative in Lebanon who is reportedly connected to the militant group Hezbollah, considered a terrorist organization by the U.S. government. Prosecutors for the first time also revealed that Mike Yassine is a "person of interest" in a case being investigated by the Austin Police Department's homicide cold case unit. Austin police declined to provide additional details Tuesday, including the name of the alleged victim. Also charged in the case are Marisse Marthe "Madi" Ruales, Karim Faiq, Alejandro "Cueta" Melendrez, Edgar Orsini, Nizar "Nino" Hakiki, Amar Thabet Araf and Sami Derder, all Central Texas residents who authorities say have various levels of involvement with the purported crimes. During raids on the suspects' homes and businesses last week, investigators said they seized more than 400 boxes of evidence. They also report finding $200,000 in cash in a safe at the Yassine Enterprises offices on West Fourth Street, as well as cashier's checks totaling $45,000 made out to a member of the Yassine family in Lebanon. That man is associated with Hezbollah, IRS agent James Neff testified. The searches also turned up a bogus University of Texas diploma with Mike Yassine's name, prosecutors said. The American-Statesman has learned that businesses linked to Mike Yassine currently owe almost $600,000 in state sales and mixed-beverage taxes. His bank accounts have been frozen by the state comptroller's office, his attorney said in court.